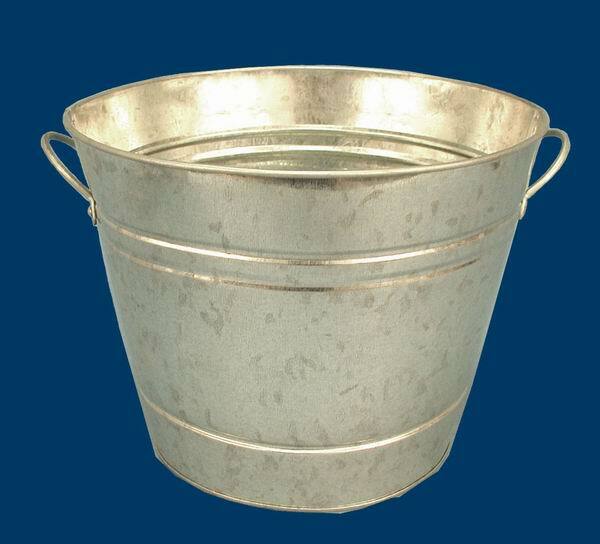 This new Galvanized metal container measures 10" in diameter, 8" high. It makes a great gift basket as it is water proof. It can be used as an ice bucket or flower container.